The Moto Z series is getting new members this year as the Moto Z2, Z2 Force, and Z2 Play will be launched in few months. Well, yesterday, the press render of the Z2 leaked that revealed the design and looking at the render, we can say that the phone is different than its predecessor in only a few things like the dual camera setup and the oval-shaped fingerprint scanner. 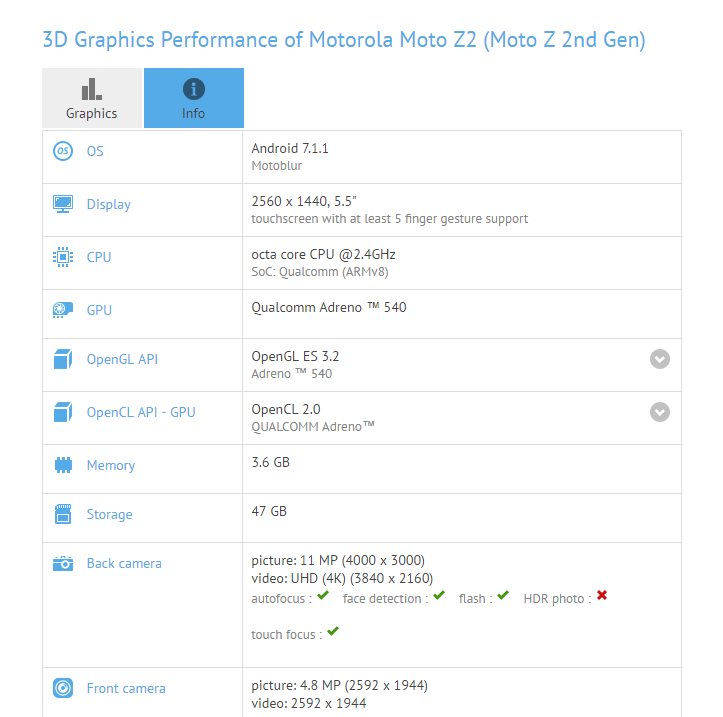 If you head to Geekbench and search for the Motorola XT1650, i.e., the model number of Moto Z2, then you will see more than 190 pages will have a ton of benchmark tests that have been done since August 2016. But, except a few, all of the tests show Quad-Core MSM8996 Motherboard, which if you don’t know, is the Snapdragon 821’s. So, of course, the Z2 is not coming with last year’s Snapdragon chipset. Among all these tests, there was a test done back in January this year that reveals the Snapdragon 835’s MSM8998 motherboard, and so, it is surely the Moto Z2 which is launching in a few months. 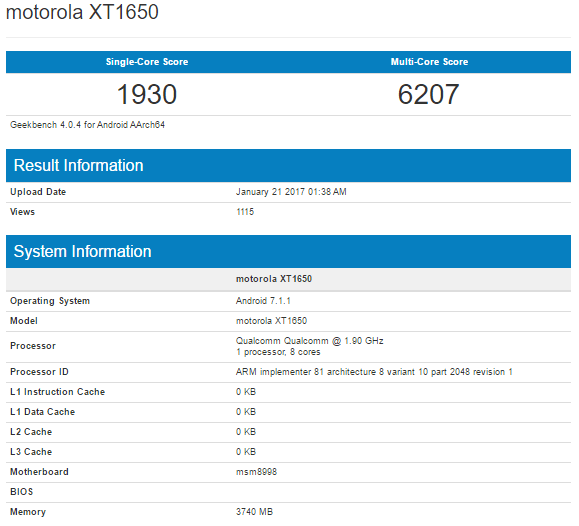 Talking abut the scores, the Geekbench test reveals that the Moto Z2 scored 1930 on Single core and 6207 on Multi-Core. Comparing these scores with that of Galaxy S8, the Z2 isn’t that powerful as the Galaxy S8’s Exynos 8895 model but comparing with the Snapdragon 835 model, the Galaxy S8 scored around 2000 on Single Core whereas whopping 6100 on Multi-Core on Geekbench 4. So, it seems the Moto Z2 is slight powerful than the S8 when we compare the Geekbench 4 scores. But again, this test was done back in January, so we are not sure that the device is indeed the Z2. Talking about other specs, Geekbench reveals Android 7.1.1 Nougat with 4GB of RAM. What are your views on the GeekBench scores of Moto Z2? Do let us know via the comments section.